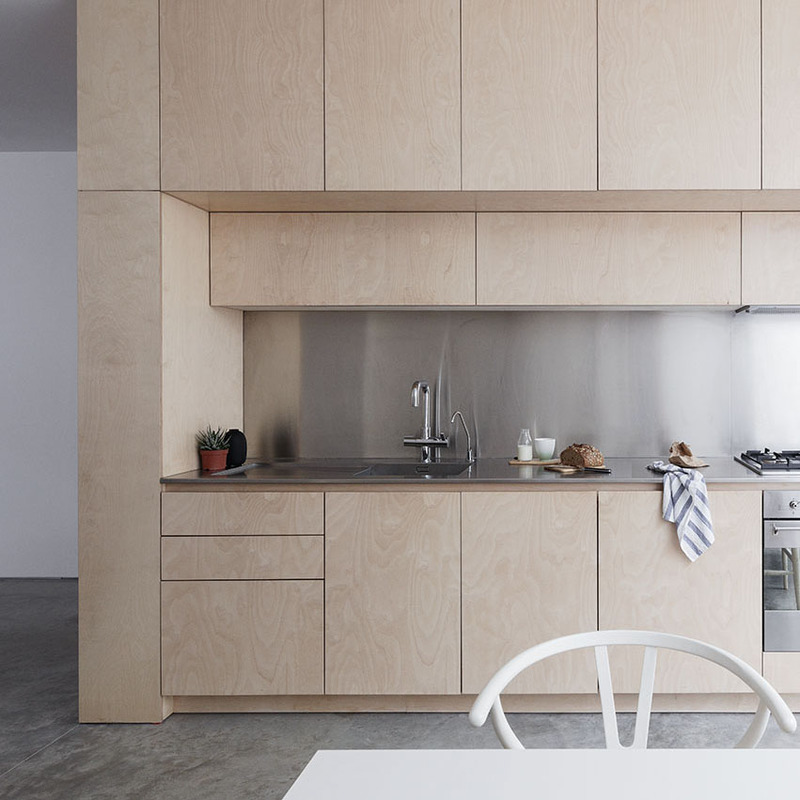 Plywood: once the poor relation of the material world, this surprisingly versatile surface is experiencing somewhat of a design ‘moment’ in interiors. 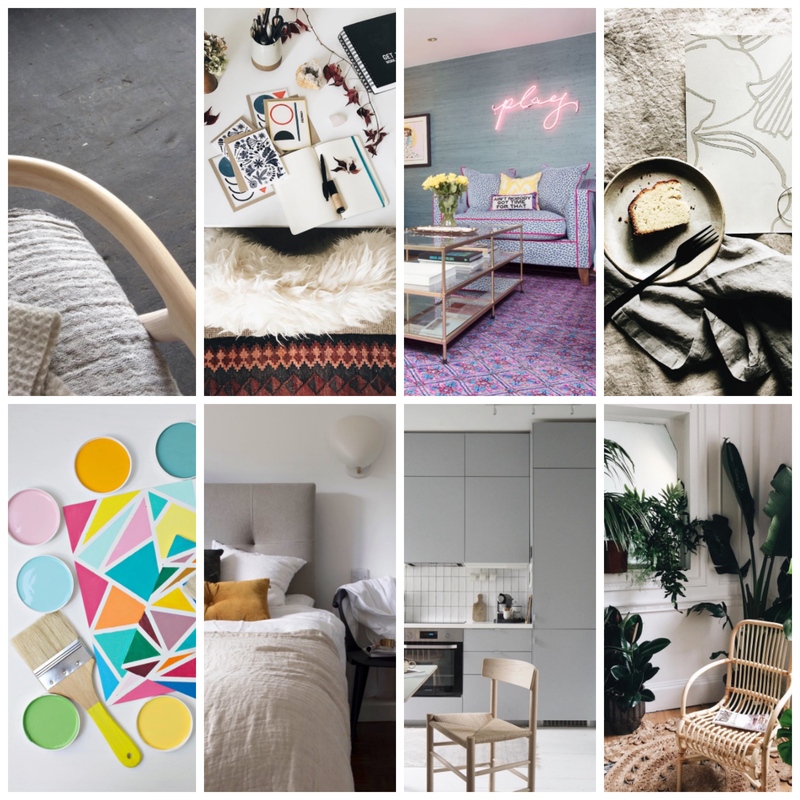 Having shaped our homes and communal spaces for over a decade – without demanding much attention at all – this engineered board has spent most of its existence being banished behind plaster and paint…until now! 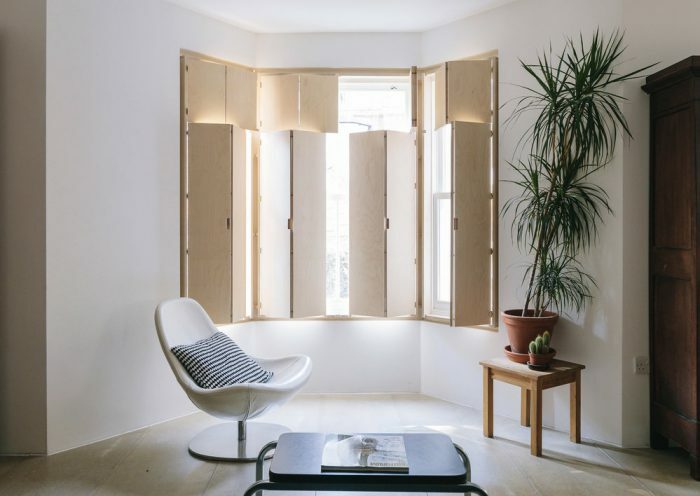 In a quest to find the latest covetable materials, designers and architects have turned to embrace and challenge the functional and aesthetic benefits of plywood, bringing it to the forefront of their creative concepts. So what has prompted this shift in favour? 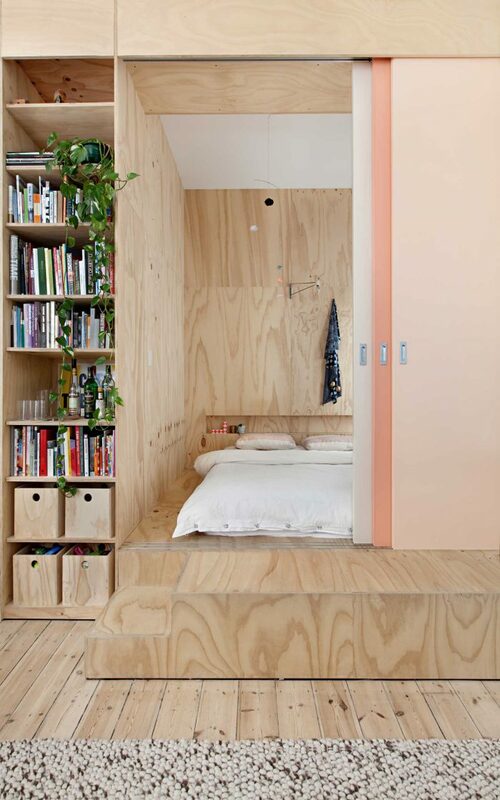 The trend for stripped back interiors and ‘minimal’ living has undoubtedly instigated the rise in popularity of plywood. 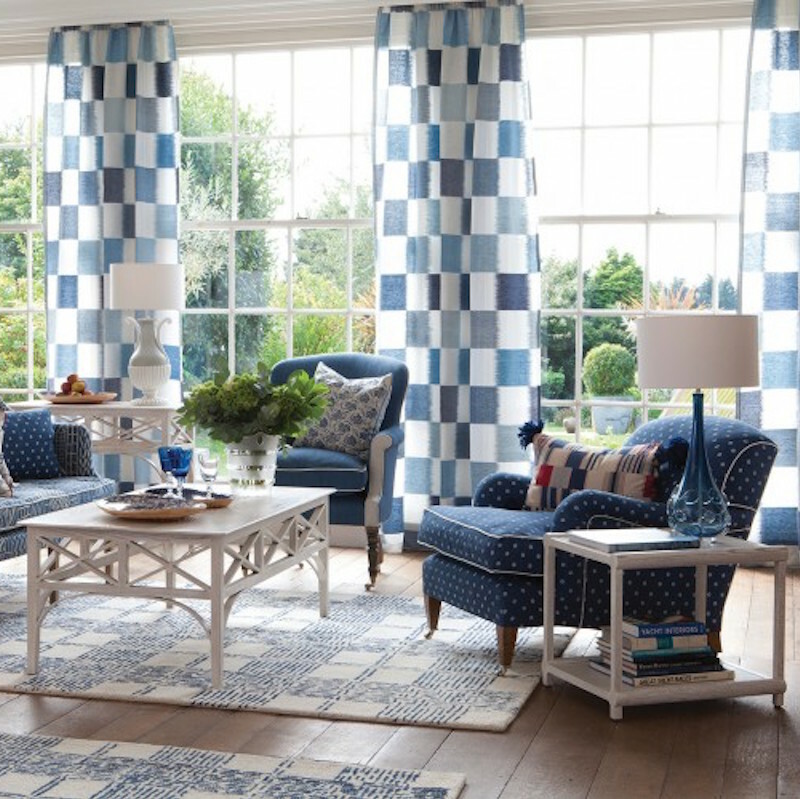 Our homes are natural reflections of our selves and our surroundings, therefore alongside the emergence of lifestyle movements such as ‘mindfulness’ and ‘minimalism’, our living spaces have been pared down to reveal their true structures. This concept goes hand-in-hand with the trend for raw materials and finishes, such as concrete, chipboard and exposed plaster, where the surfaces often found beneath are brought to the centre of a scheme. The development of pre-fabricated dwellings has also spurred the use of plywood. This lightweight yet robust material offers the ideal structure to create CAD-designed spaces; easy to cut and manipulate, the pieces can be slotted together like a jigsaw to form flexible rooms that also deliver on time and cost efficiency. 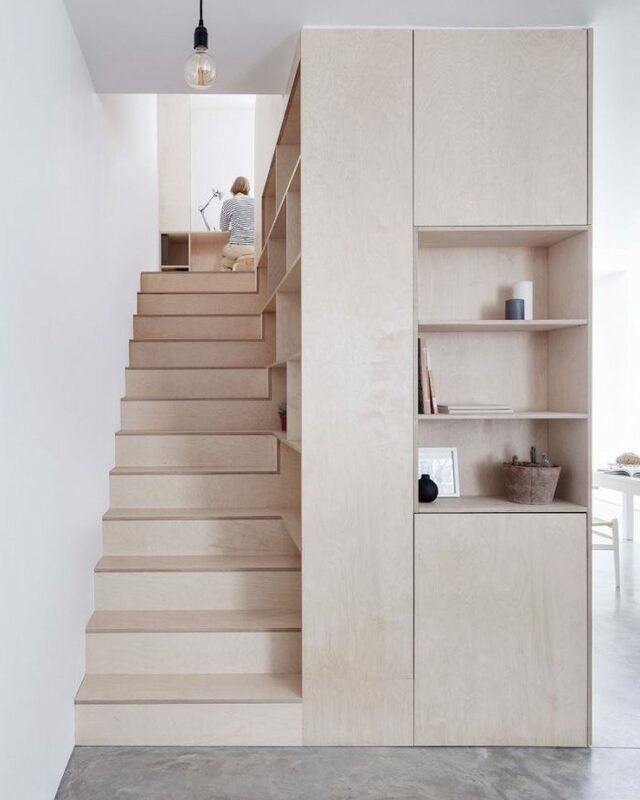 This process is perfectly demonstrated by London-based architecture firm, Tsuruta Architects in a project named Marie’s Wardrobe. 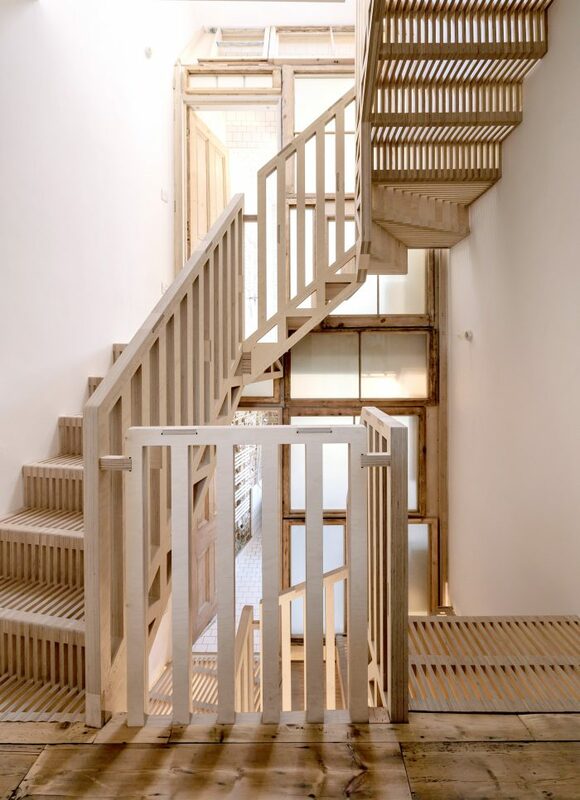 This 20th-century townhouse uses plywood as the dominant showcase throughout, with a staircase constructed from 1,872 pieces of digitally fabricated plywood. Making up the house’s central skeleton, the staircase leads on to other rooms in the dwelling where the application of plywood continues. Seen in the effortlessly understated gallery kitchen and used across window shutters, bedroom cupboards and bed frames, plywood really takes charge of the space without ever overpowering. 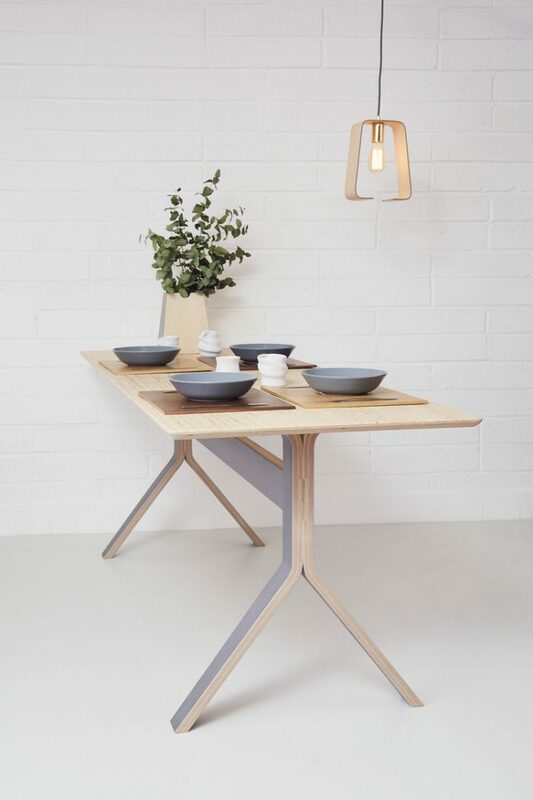 The multi-layered construction of ply lends it to a breadth of different applications, from structures and load-bearing partitions, to furniture and decorative homewares making it one of the most multifaceted materials out there. 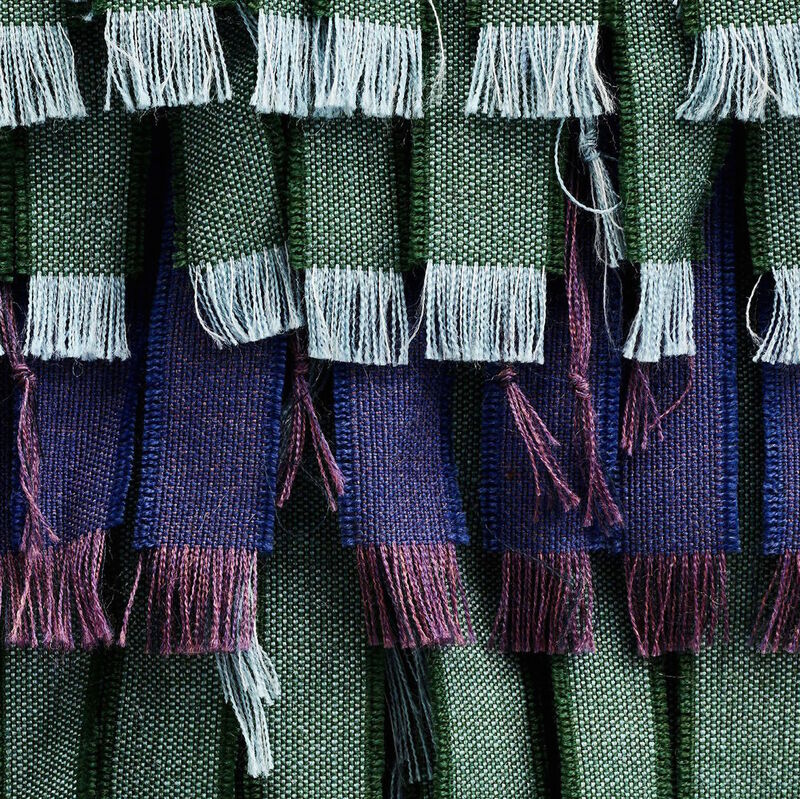 Its strengths lie in multiple construction benefits: cross-grain lamination makes it super strong, it can be flexible or rigid, it is lightweight, a great insulator of both heat and sound and is moisture resistant, making it ideal for both internal and external applications. Got a thing for ply? Plywood: Material of the Modern World is showing at the Victoria & Albert Museum until 12 November 2017.